You are now looking for a new vacuum cleaner, but you are probably still trying to decide what type of vacuum cleaners that you are going to buy. 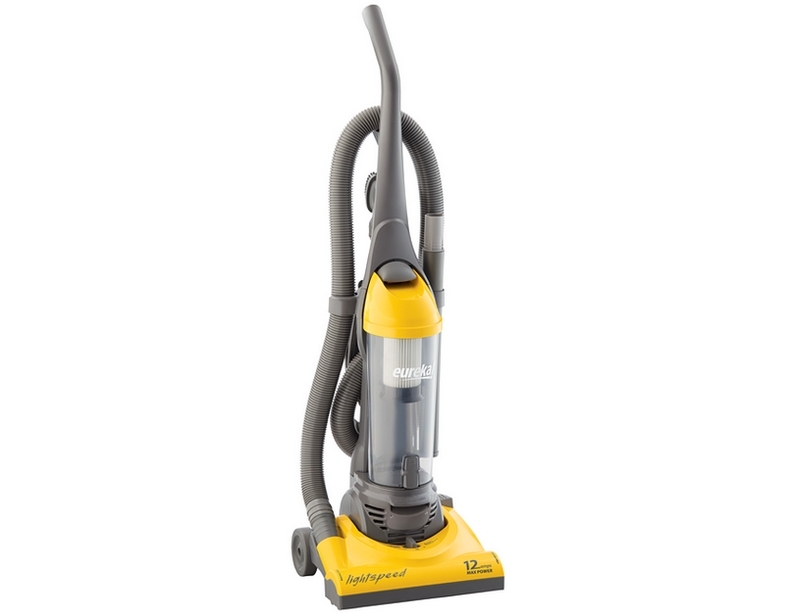 There are various models available on the market, but generally, you can classify them all according to their designs into either canister or upright vacuum cleaners. Although choosing between the two styles of vacuum cleaners is mostly a matter of personal preferences, you may want to know the certain advantages that each style offers. So, below, we are going to see the comparisons between canister and upright vacuum cleaners. By knowing the important differences as well as the pros and the cons of the two styles, you will be able to determine which one is the best for you. So, continue reading! 1 What are Canister Vacuum Cleaners? 2 What are Upright Vacuum Cleaners? What are Canister Vacuum Cleaners? A canister vacuum cleaner would have the cleaning nozzle placed at the end of a wand, which is linked by a hose to the vacuum unit. The said vacuum unit, often also called as the canister, contains the engine that performs the vacuum suction, the filter, and the dust bag. Usually, it is equipped with wheels to make it easy to be dragged around the home. Canister vacuum cleaners are often preferred by many home owners because they allow the user to clean an area without having to push or lift around the machine all the time – just use the wand. 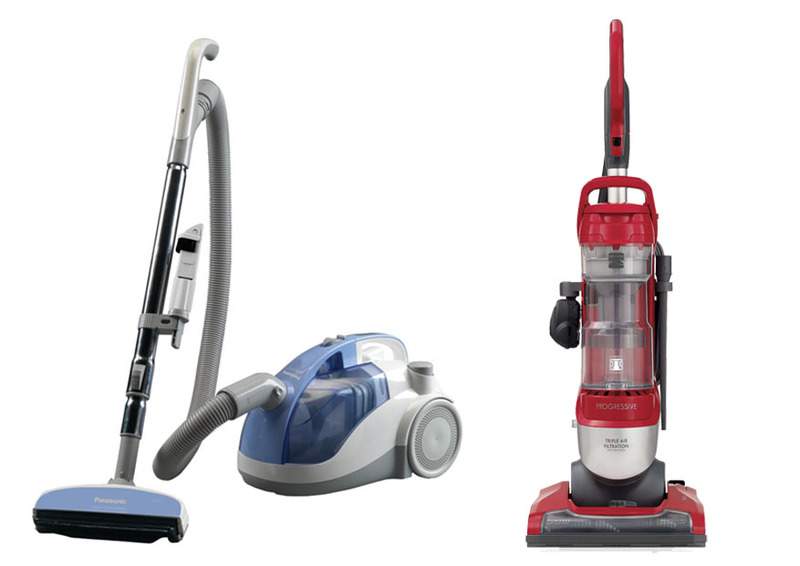 You are most probably more familiar with these vacuum cleaners. Upright vacuum cleaners come with the traditional and popular design; an upright vacuum cleaner would have the motor and the suction head put in the same unit. Hence, as the effect, with an upright vacuum cleaner, you will have to push and pull the whole machine all the time. However, some people prefer upright vacuum cleaners because these vacuum cleaners typically have a wider cleaning path and motorized brushes for cleaning thick carpets and rugs efficiently. When choosing between these two styles of vacuum cleaners, you may want to consider first what types of floors that you vacuum most often. Most vacuum cleaner models nowadays are able to clean various types of floors, but upright vacuum cleaners are usually better in cleaning carpets and rugs than canister vacuum cleaners. The design of an upright vacuum cleaner makes it more effective and efficient to reach difficult spots inside thick carpets and rugs, and the motorized brushes simply enhance the performance. However, when dealing bare floors, such as hard wood, vinyl, and linoleum, either style is fine. But you will probably find a canister vacuum cleaner to be more convenient because you won’t have to handle the total weight of the machine all the time. Nevertheless, the decision is not really black-and-white. Many upright models nowadays come with a hose, which allows you to attach various attachments for cleaning different surfaces. Still, these hoses are often not as flexible as the ones on the canister models, and may cause the vacuum cleaner to tip over if pulled. Meanwhile, many canister models today can also work on carpets and rugs, but they often require you to change the vacuum head first. Having to change the vacuum head every time you move to a different surface is not practical. If you are an allergy sufferer, you may want to opt for a canister vacuum cleaner. Many canister vacuum cleaners are equipped with sealed HEPA systems that ensure no allergen particle can remain on the surface you have cleaned. Upright vacuum cleaners also clean surfaces very well, but they don’t handle allergens like canister vacuum cleaners do. In addition, canister vacuum cleaners often come with more tool options. Many models are equipped with a tool designed specially for cleaning stairs, allowing you to clean the steps easily and conveniently. There are also special tools for cleaning crevices and upholstery. On the other hand, upright vacuum cleaners do not have as many selections of tools available. Cleaning the steps of a stair with an upright vacuum cleaner is definitely very tiring, as you will have to lift the machine from step to step, though using the hose may help a little. You definitely can’t really bring an upright vacuum cleaner to clean the tight crevice under the cupboard. In general, the main advantage of canister vacuum cleaners that becomes the reason why people choose them is the easy, lightweight operation. As explained above, you will not have to lift and push the canister unit all the time to clean a given area. Thus, a canister vacuum cleaner is usually less tiring to use. In addition, canister vacuum cleaners are very flexible and versatile that you can use them to clean tight crevices and special surfaces. However, some people don’t like canister vacuum cleaners because they sometimes require you to drag the canister behind you, which is awkward. In addition, they are not exactly efficient for cleaning a large area because the cleaning path is not very wide. On the other hand, upright vacuum cleaners are great for cleaning large areas because of their wide cleaning path. Despite the heavy weight, some people prefer upright vacuum cleaners because with them, the machine is in front of you and less likely to trip you over. And upright vacuum cleaners often have larger bags, so you will not have to replace as often. As you can see, canister and upright vacuum cleaners have distinctive characteristics that make them suitable for different needs. 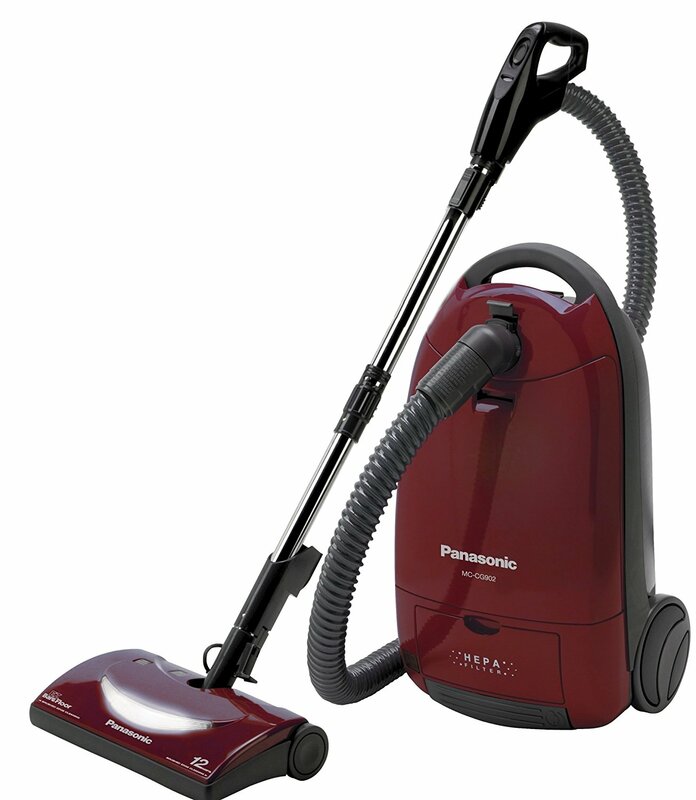 Canister vacuum cleaners are great for people living with asthma because of the sealed HEPA systems. They are also great if you have stairs, crevices, and special surfaces to clean. They are lightweight. On the other hand, upright vacuum cleaners are great for cleaning carpets and rugs, as well as for cleaning large surfaces quickly. You may also find an upright vacuum cleaner more convenient to use if you find dragging a canister unit behind you awkward.